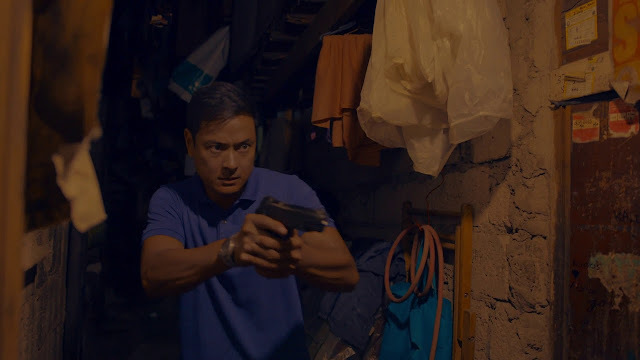 Brillante Mendoza just doesn’t stop working. He has a voracious output, churning out numerous films, shorts and documentaries every year and recently, a 12-episode series for Netflix. With a keen eye for social issues, his films often dive right into the chaotic, gritty fringes of society. Mendoza worked in production design and advertising for around 20 years before making his first feature film in 2005, The Masseur. With his debut film, he burst onto the filmmaking scene, picking up the top prize (“Golden Leopard”) at the Locarno International Film Festival. Since then, he has become a regular at top film festivals around the world. He won the Caligari Film Award at the Berlinale (2008), Best Director (2009) and a jury prize (2015) at Cannes. His latest film is Alpha, The Right to Kill, which won the special jury prize at the San Sebastian International Film Festival this year. 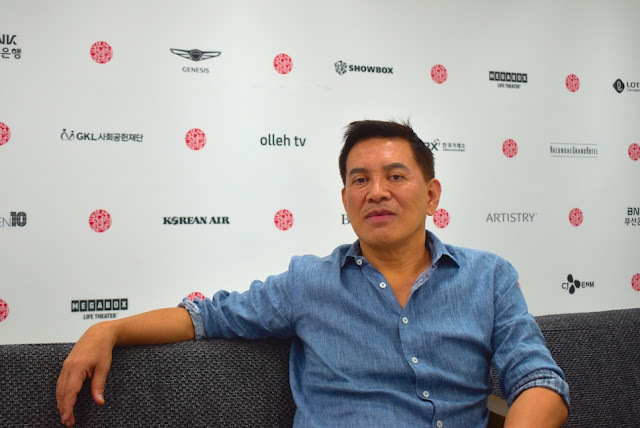 SINdie's Sara Merican sat down with Brillante at the recent 23rd Busan International Film Festival. Alpha, The Right to Kill, will screen at the 29th Singapore International Film Festival on 7 December, Friday at Filmgarde Bugis. Tickets can be purchased here. How do you select your projects, or decide what to work on? Brillante Mendoza: It’s a matter of timing. Timing is very, very important. For instance, when I was doing Amo, I had no intention of doing the feature film. All my energy was focused on just the series. Because of the aesthetics that I employ in my projects, like a docu-drama, it is easier for me to make film. I feel like I have already mastered that kind of aesthetics…how to put all these things together. I am quite fast. (Laughs) My team is also a team that I have been working with for several years already so we know our work ethic very well. They know how I work, how I think, my shots, so it is very easy for us to jump from one project to another. When this project is done, it goes to the editor and then we focus our attention on another project while the team of writers goes to do their research for future projects. You make a lot of things each year, how is it like managing all these different project timelines and demands? Many of your films use a semi-documentary, semi-fiction kind of style, how did you arrive at such a style? BM: It’s part of the “found story” school of filmmaking, which I learned from my mentor, Armando Lao. I employed this kind of aesthetics in my films from the time I started making films, in 2005. In “found story”, it’s almost like a documentary. So the performers, who are actually professional actors, are treated like real characters, not like actors…or get special attention, like how we treat them in mainstream movies. For me, everything has to be natural—the acting, the photography…it’s handheld, to make it look like it’s not set up. But of course, it is set up, there is choreography. Also, one special quality of “found story” is that you always mix professional and non-professional, you always involve the community, you always involve the environment, you always shoot actual locations. We rarely build sets, so we look for an actual location and then we set it up according to how we want it, and how the characters are supposed to be involved or living in that particular environment. So that’s why we have a production design team. Even the way of storytelling, you focus on one particular character and the span of story is shorter. We call that “bracketing”, meaning that as far as the characters are concerned [for “found story”], it is much, much shorter. In my previous film, we had something like a day in the life and three or four films where the story happens in one day. Moving on to your latest short, in the Lakbayanomnibus project, there seems to be quite a few omnibus projects around, like the Ten Years projects (first Hong Kong, then now Thailand, Japan, Taiwan). In Singapore, we had a few omnibus projects (667, 7 Letters). What do you think the omnibus format does and why would you choose the omnibus format over something else? 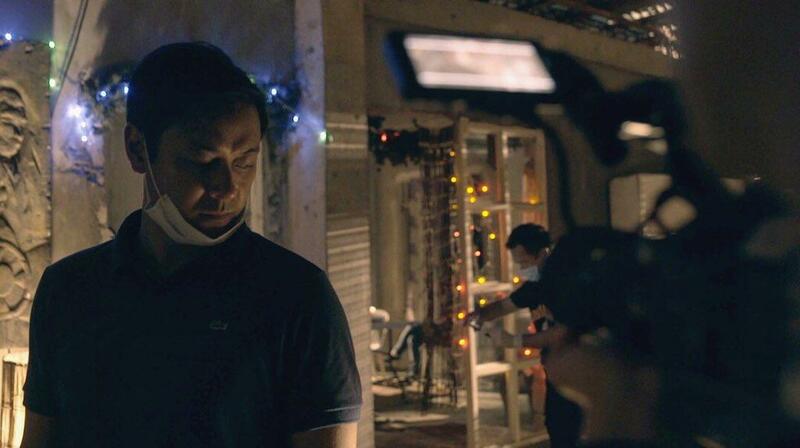 BM: I have done several omnibus projects before, with other Asian filmmakers. I think that the significance of doing an omnibus is that you get to represent several issues and several perspectives from different filmmakers in one film. Especially if you have one topic or idea, how it evolves. I think in that aspect, it is exciting to see. And as an audience you get to see three, four films… and at the same time you see the whole panorama of the country, or the issue that the filmmakers are trying to talk about in one film. Could you tell us more about your recent film, Alpha, The Right to Kill? What drew you to make Alpha? BM: It is a film version of the TV series I did for Netflix, Amo. When I was doing the TV series I had no intention of making this film, it’s just that when I finished the TV series, there was still more to say, to tell. I had so much research [about] the underground world and political corruption that I wasn’t able to use in the TV series and could still use for the film version. I also made use of the actors who were in the TV series. And at the same time, it is very timely. 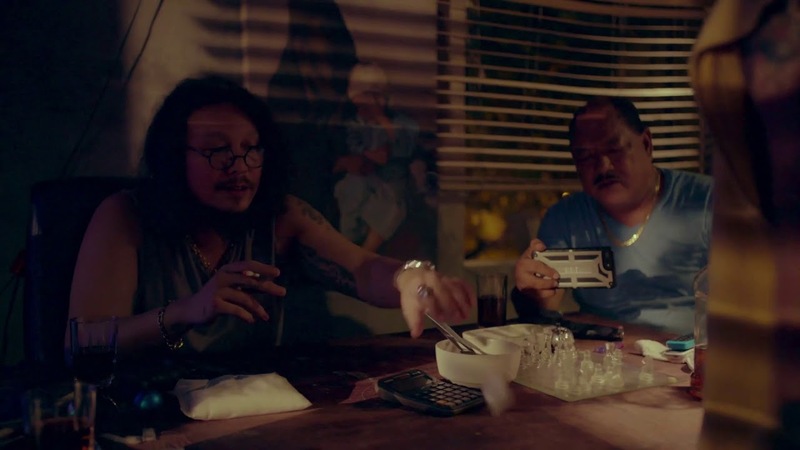 After doing Ma’Rosa(2016), which is also about drug dealing…in the span of almost two years, everything in the film is still happening around the country. I believe that films and stories like these are a reflection of the society. So that’s why I did Alpha. How did you go about doing research on the “underworld”? BM: It is not just about being resourceful or lucky but about finding someone who can really help you or extract what you really want. It is not easy, it is not easy to win the trust of these people, but I think the most important thing and the reason why I was able to somehow get all this information is because they don’t feel exploited. They don’t feel like their stories are being used just for the sake of my own interests, it’s about telling their stories and telling the truth without necessarily favouring a particular issue or person. For me it’s about the truth, the story. What was a challenge for you when you were shooting Alpha? BM: I think it is always a challenge to shoot in a crowded place, using a lot of talents and extras who are not professional actors­—they are from the community. 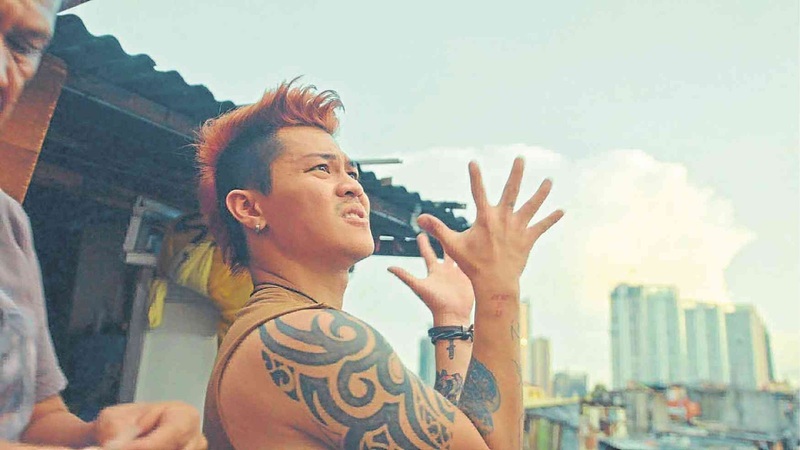 How did you come to collaborate with your screenwriter, Troy Espiritu? BM: He started with me as a researcher and then he worked for me in production, as a production assistant. It’s been a long collaboration. I think it was three years before he was given the role of a scriptwriter. But with the guidance of my mentor, Armando, his style is also under the “found story” school of filmmaking. While we were doing all these projects together, I am very hands-on in terms of script, we really discussed a lot. Even if the script is already finished, if something comes up while filming or a discussion among the actors, or logistics we always discuss. The writer is always present during the shoot. I am not sure how it goes…with other directors, the writer doesn’t really come on the set. But for me, the writer should be, and should have seen the set or actual location where the film is going to be shot before writing it so that when he writes, he knows exactly what he is talking about. Because in “found”, this is not an imagined story…these are real stories that you put together, put into narrative, based on life. On the actual day of shoot, the writer is present on set, because if we cannot do like how we write it on a particular location, there is an alternative, without really losing the essence of the story or scene. How did you choose your cast for the film? BM: [On lead actor, Allen Dizon] I actually know him from many years ago, when I produced a film in 2008 called Twilight Dancer. Unfortunately, after that there were no projects [I had] that suited him. I think maybe there were one or two, but he was not available. I always wanted to use him in my projects. And then this project came along. I am quite particular about the availability of the actors that I work with because I want them to focus all their attention and energy on my project. So, if an actor is willing to spend time on my project, he’s in. In fact, there is another film coming out next year with him in it. He’ll be a soldier in there.